All things in the Universe the stars, sun, moon and earth are as One and transparent. Only the Human beings deny being transparent and this is because the Ego mind covers itself in darkness and is lost and suffering. The Earth itself has also been darkened by this dark energy of emotion. All we have to do is cleanse our ego mind of dark energy by burning off into the Sun. We will become transparent, at one with the Universe, truly happy, and the Earth will also be saved. We are one with the Universe that is our true origin and life. A mind cleansing technique that leads to self enlightenment based on a logical, scientific and the Universe view of the world. The belief and living practice from self found knowledge derived from true enlightenment. God is the consciousness of the finite Physical Universe. You are an individual mind of the Master Consciousness. As far as God concerned, all the matters in the Universe that are, seen and unseen is the mind of God. You are a sacred life of God, because God cannot exist without individual minds. There is nothing after death, your mind and body will disappear forever. Only salvation is to cleanse your mind and body, and see God before the death. Expand your mind beyond your ego-self and experience who you really are. Be realised that you are not just single ego, but you are everything. To have everything, you must have nothing. To see God, you must abandon your ego mind. Pure darkness and Pure white light is same. God is Pure Energy, Pure emptiness and pure darkness. You are a light and energy. the Bible. 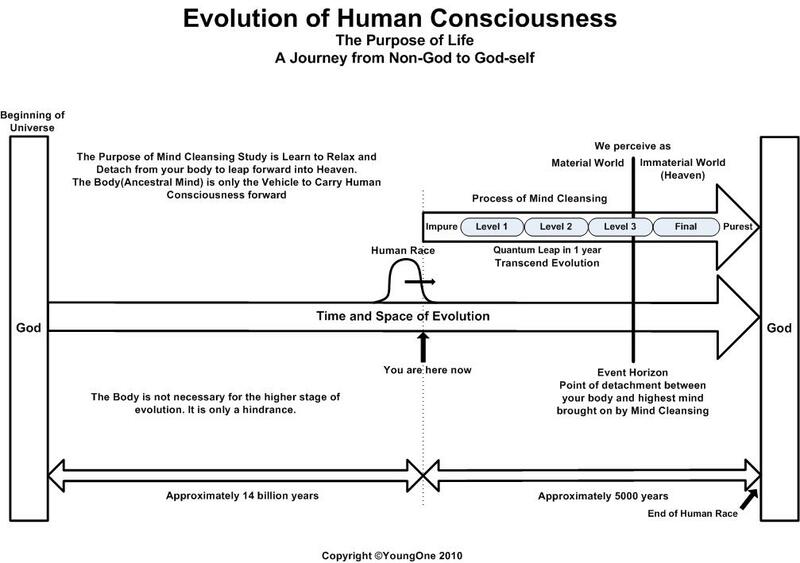 The energy body or ki, chi, prana, vital force, consciousness or soul (whatever you call it), however, reincarnates in order to continue the evolution of a heaven on Earth. The above article is a typical old way of describing what a human being is composed of. A human being is in a way composed of an animal body, but it is an old concept when people were not scientific and had no knowledge. Our whole body and mind is the manifestation of pure energy (God) and there is no distinction between the physical body and the energy body. The human being is a whole energy-self of a continuous spectrum of vibration from light (mind) to dense (body) energy and there is no physical body and energy body separately, simply, because all is energy. So called animal body is the condensed part of mind comes from many millions of generations of evolution. Therefore, it is literally condensed mind or condensed mind energy and there is no energy part of the body they so claimed. Ki, Chi, Prana, Vital force is the energy coming from the combined energy of your whole-self, which, emanating from the whole cells in the physical body, and that can be manipulated by mind part of your brain, so you can feel it is like energy is moving around or in and out of the body. The more reason makes you feel so sure that you have mind and body is separate; you cannot see or feel beyond your consciousness. You do not aware of your sub-consciousness due to, there is a barrier which blocks you to see and feel the sub-consciousness which is your true part (99%). Your body is the main part of your sub-consciousness. All of your living instructions and other animation of life are processed in sub-consciousness. You do not give someone energy. You are merely shifting the energy from one place to another. Therefore, a human being is composed of dense part of energy, and this physical part of the body is moved by the animation centre (computer) in your brain. Many people asked me then where is life-sustaining energy comes from? My answer to this is we are already living in the pool of energy which abundant everywhere. 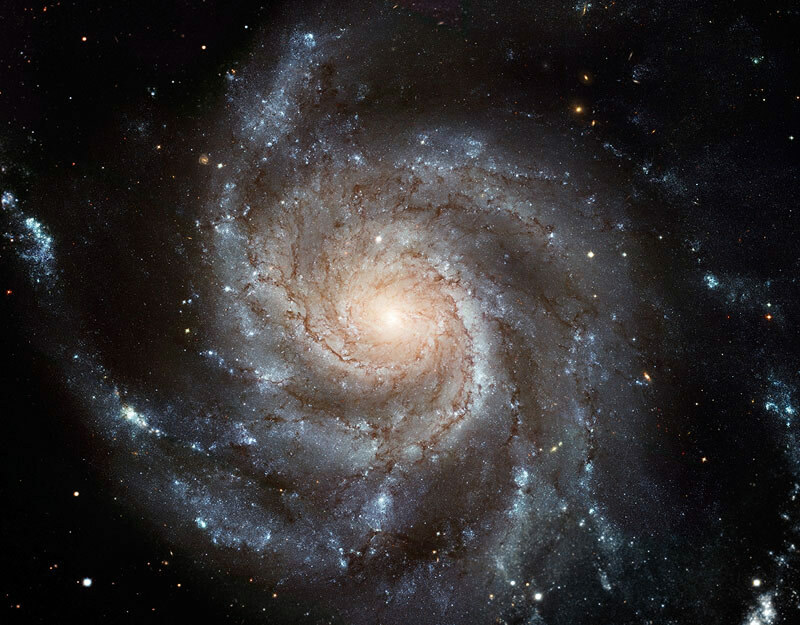 The whole universe is a giant ball of energy, whether you are living on Earth or the vacuum of space. Even the vacuum of space is not separating you from the connection of the Universe. You are connected as one, only you do not aware due to your limited senses. You literally are in the giant expanding ball of energy and within that you exist as a part of play of energy. Your cell in the body is programmed to grow, live and eventually to die off so the next young cell will take the place and the chance to live another life cycle to give the Universe more intelligence. The above articles are written by very narrow minded people who do not have the larger view or shall I say the God’s point of view. However, I always used to say, I respect their way of belief and faith because that creates a more diverse life experience of God (albeit useless). Therefore, I have no objection about that I do respect whole heartily. It only becomes the problem if you want to know the true reality because those deluded ideas become hindrance to the path of true enlightenment. Look big and think big to the infinity, out of your human way or human concept of thinking, think like God then you will see the true reality. Don’t forget to think big way, you are in a giant ball of energy or shall I say a single spirit or single mind, and there is no other. Don’t get a funny idea about another soul or spirit. It is an insult to your true spirit who is wanting to the true path of enlightenment. Do not read so many books, it will only confuse you. Because you are still emotionally biased to the mystical idea. You will need to thoroughly eliminate your belief systems. Remember, you cannot serve two masters. You need to choose only one. You can either go to an emotional choice of old ideas or stay with the one with the true path. Bless your ego mind to have the true path. 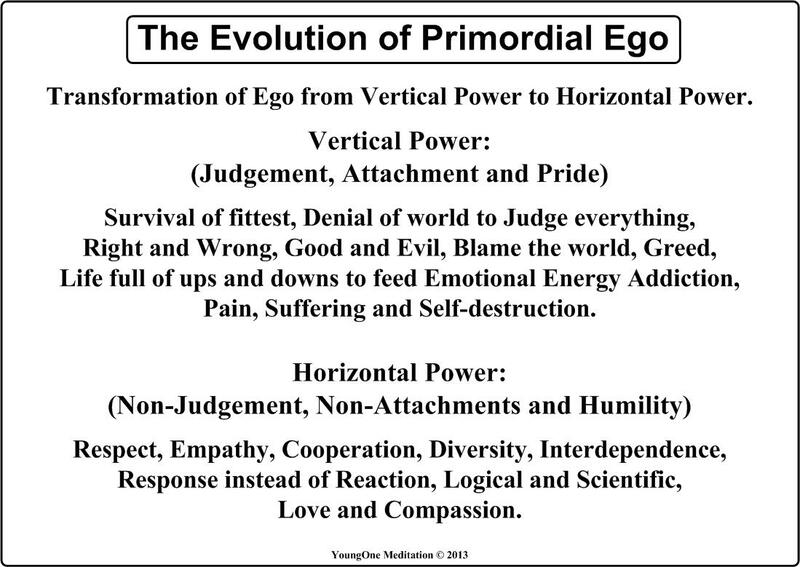 Defining the ego means defining what a human being is and is a very old ancient question ever since the human being on this planet starting to think. There have been many philosophical and scientific attempts to explain what human existence is throughout the history, but many did not give a satisfactory answer that is direct to the core of existence and failed to identify clearly what it is. There is a true ego is in existence that is God-self or master consciousness of this Universe. Many modern atheists or theoretical physicist only sees the world as a purely coincidental combination of energy by accident and fails to see the existence of the master consciousness. Under the life of this one and only consciousness, the human being manifested and exists as a false ego or identity. It means making you believe that you have your own individual spirit, or you are a truly a separate and free identity. In other words, you have been cheated, and of course. It has to be a convincing one otherwise the whole God’s business will fail. So, you may wonder what the true intention of God’s business is. The true intent of your life is to generate and store intelligence, which is constantly evolving (thus God’s intelligence is evolved by you), and this intelligence causes experience by life living which you can interpret as knowledge. Remember, True knowledge is the experience and experience is knowledge in which you are the holder of the God’s knowledge and storage (without the human definition of failure or success or true or false. All is knowledge). This knowledge is constantly used up by Master consciousness or God’s consciousness through the extra sensory mechanism. In other words, you are the brain cell of the Universe. You are also the emotional energy generator who is used to hold this universe together by creating the tensions of desire. Naturally, you are evolving and as you are continuously evolving, someday you will reach the point that is the realisation of your true identity that is you are God-self. Therefore, the most important purpose of all is that you are living the life of God. God is here for life that is all. As far as human beings concerned, we exist as an individual thus locking us into never-ending drama of life is unfolding endlessly and tie up with naturally sprung environmental survival. The whole purpose of life in this world is making the journey of life using the vehicle so called evolution that is based on time and space. It means your life started as a tiny particle of existence and becoming more and more complicated organism of collective consciousness, as you may realise that you are also a collective consciousness of many particles and lives are fused as one. 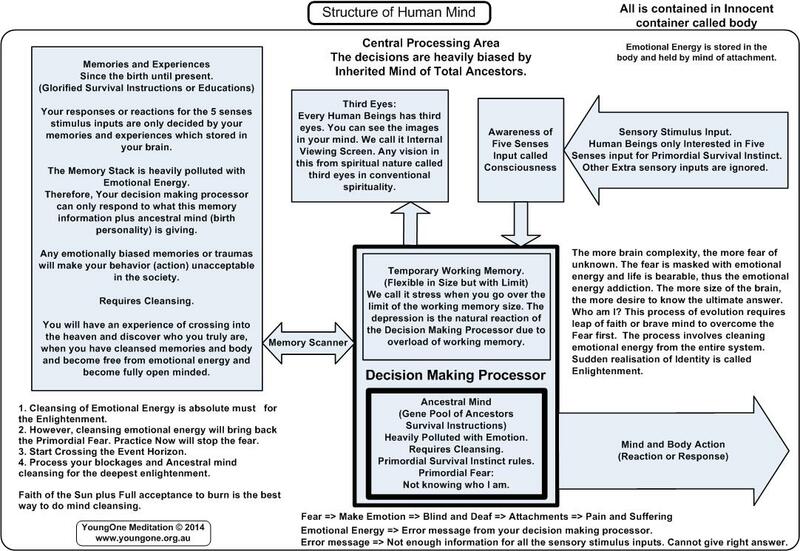 The most important matter is that you should know the chain of collective consciousness does not end at human beings and naturally, there are higher up collective consciousness exists as you do not aware due to the limit of human intelligence. Therefore, concluding that the human being is the last line of collective consciousness is a foolish conclusion, of course the chain or line never ends; it goes right up to master collective consciousness of the universe that is God and more. So, you know now logically, there is an existence of God that is highest collective consciousness that we should call it master consciousness, just like you are the master consciousness of your trillions and trillions of cells in your body, which forms you. Remember, those individual cells do not understand or knows that you the master consciousness and exists, due to the lack of intelligence, which only needs current intelligence to serve their predetermined function that is the function of the cell. 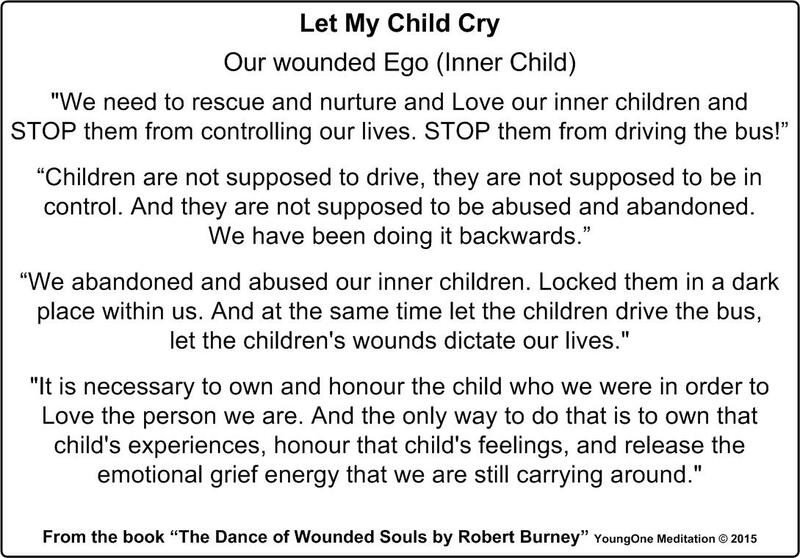 EGO = Myself in this world manifested as a human being. Ego is a Latin word meaning " I ”, cognate with the Greek "Εγώ (Ego)" meaning "I", often used in English to mean the "self", "identity". DUAL = Duality as your ego mind and a true mind endlessly comparing and conflicting and generating an error signal that is the emotional energy. 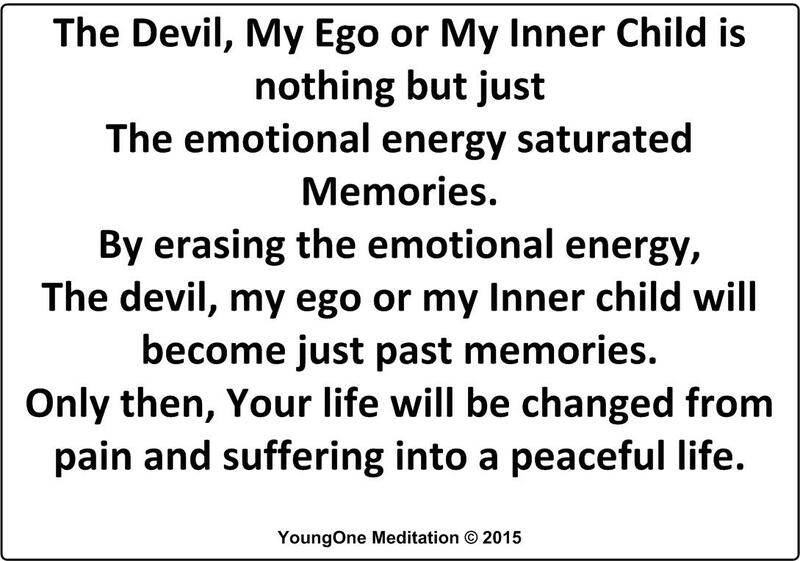 I, myself within me have always been divided into two minds (duality) and am repeating or iterating to cause endless error signal of emotional energy thus you can define yourself as an emotional energy generator. This statement might be a too cruel expression for general view, but in my opinion, it is a correct statement as far as current and majority of the population on this planet which all the lifestyle is geared up for generating more and more profound emotions such as movies, books, TV programs and other life stories such as display of supreme ego or soap operas that generates more emotions means more popularity and higher ratings so more money is earned. Human beings on this planet are addicted emotional energy, but no one thinks or realises about it. The maturity of your enlightenment is only equal to your faith. Faith is your trust and openness to the path of enlightenment. Your faith is growing as your path to enlightenment is maturing. Without faith you have no progress. Your ego cannot attain all the answers by analysing until you can understand. To understand your world you must first open your mind and let Universe come into your mind. You closed down the knowledge of the Universe if you closed your mind. Brave person feels the fear like everyone, but do not stop the path because of the fear. Fear of the unknown has been always with us because we have a primordial survival instinct which gives you the primordial fear. Overcoming the fear is the path to enlightenment.